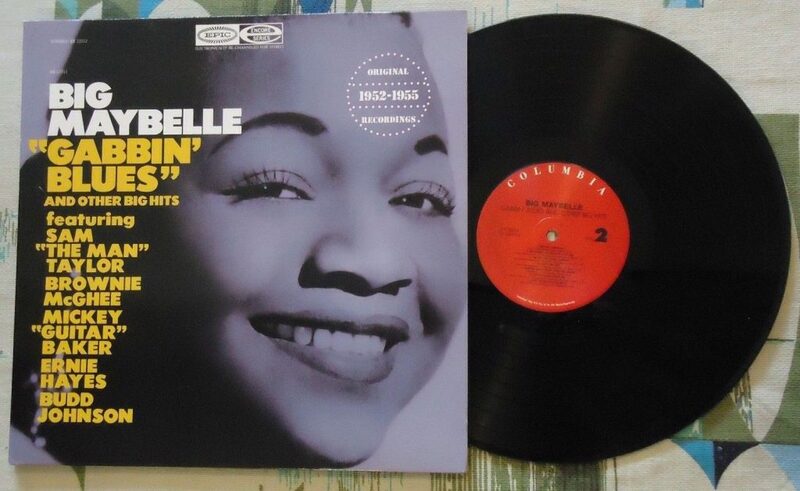 Check out these new and used Big Maybelle vinyl records LPs for sale. Big Maybelle, whose birth name was Mabel Louise Smith, was born in Tennessee in 1924. She sang in church as a child, and switched over to R&B in her teens. Her professional career started in 1936 with Dave Clark’s Memphis Band, and eventually recorded her first solo record for King Records in 1947. She didn’t really make a name for herself, however, until she recorded with Okeh Records in 1952. She earned the moniker Big Maybelle at this time from producer Fred Mendelson. She ended up with Savoy Records in 1955 and continued to release popular albums and singles. Her career declined after 1959 and her last single was a cover of 96 Tears in 1967. We recommend starting your Big Maybelle vinyl collection with Got a Brand New Bag from 1967. Our inventory is constantly changing, so check back often, or browse our list of vinyl from blues musicians.